Tomorrow is America Recycles Day. Did you know that CPS Energy recycles almost everything we use? Not only do we recycle office paper and coffee cups in our break rooms, we save 13 billion gallons of Edwards Aquifer water each year by tapping recycled water for our power plants. More than 468,000 tons of metal, wood poles and other materials found new life through CPS Energy recycling last year. In 2012, we earned an environmental leadership award for keeping more than 46.2 million pounds of construction debris out of local landfills the year before. Perhaps least known, though, is the fact that CPS Energy recycles 100% of the coal ash generated by its coal plants. Even better, the recycling process generates about $2 million in proceeds for the public utility and the community each year when sold for future use as an important ingredient in concrete, roads and other building materials. There’s a reason they’re called “cinder” blocks. Why? Because when coal ash replaces cement, gypsum and crushed rock on our roads and highways, our community saves the time and energy to produce or mine those materials. “Natural resources are conserved when coal ash serves double duty as a by-product,” says Stoker, adding that virgin materials are saved. Not unlike what remains after a great BBQ fire, coal ash results when we combust coal to produce electricity. But in our case, the amount of ash is mammoth — 436,742 tons in 2013. CPS Energy sells those megatons of useful byproduct to Boral Material Technologies, an international building and construction materials group. 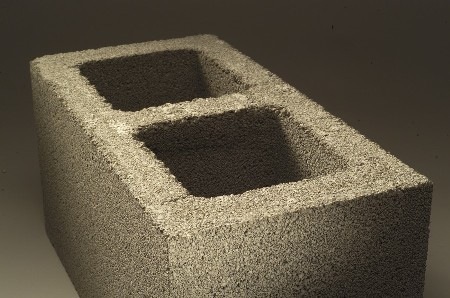 Boral takes the coal ash and uses it to produce concrete, brick and road materials. According to the American Coal Ash Association, beneficial use of coal ash in concrete production reduces U.S. greenhouse gas emissions by as much as 15 million tons per year. The practice also saves water, since if it were stored, it may have to be pumped with water into lined containment pits or landfilled. People have been using coal ash for multiple purposes for centuries — for war paint, cleaning silver and brass, adding it to a garden to raise the PH level, even as a scrubbing powder for dishes and the sink. In addition to helping make road material and concrete, coal ash assists in making bricks, shingles, paint and other building products.